If you’re like me, I love kitchen tools, or utensils. I like to just browse the kitchen ware and see what they have that’s new. One of my favorites, and I’m sure if you have read the recipes I’ve put on here so far you’ll know this, it’s the triggered ice cream scoop. It comes in different sizes, but the one I use most holds about ¼ cup. It is just the right size to fill cupcake and muffin cups with batter. It makes for more even and uniform muffins and cupcakes. 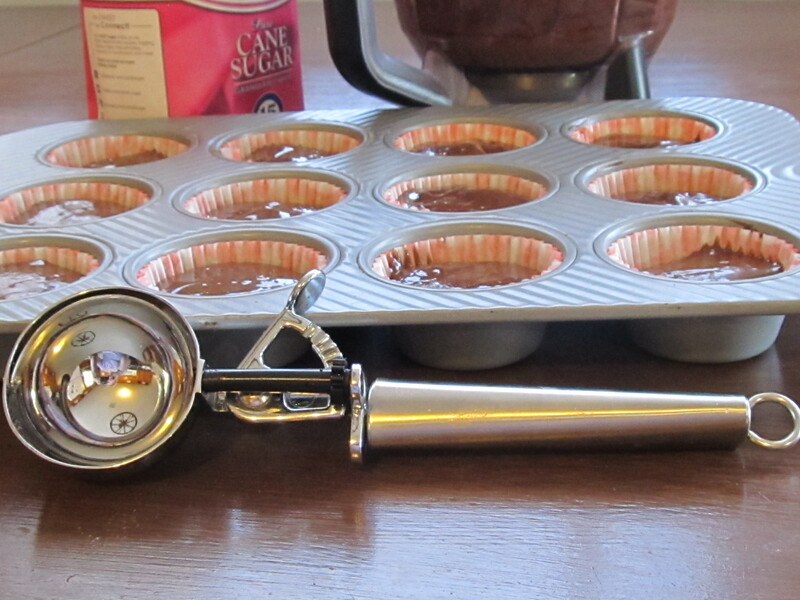 You might want to give it a try, it makes baking cupcakes go a lot faster! Good Idea, I like it!! It really makes filling the cups go a lot faster!